The Hasselblad Foundation hosts and co-hosts both smaller research presentations and larger symposia each year, often in collaboration with the Valand Academy, University of Gothenburg. Since 2014 the foundation and the university have co-published the book series Negative, with collected presentations from several of the symposia. Researchers, theorists and artists that have participated in the symposia include Subhankar Banerjee, Geoffrey Batchen, Broomberg & Chanarin, Mathias Danbolt, Leslie Hewitt, Sarah Kember, Liz Wells and Zanele Muholi. Participants in the recent symposium on surveillance, organized in relation to the WATCHED!-project, included Susan Schuppli, Marco Poloni and Peter Weibel. An open seminar on photography, film and ‘New Vision’ – around the ground-breaking exhibition Film und Foto, 1929. 10.00 Welcome address by project initiators Mats Jönsson, Louise Wolthers, and Niclas Östlind. Mats Jönsson is Professor of Film studies at the Dept of Cultural Sciences, University of Gothenburg. Louise Wolthers is Research Manager and Curator at The Hasselblad Foundation. Niclas Östlind is a Curator and Senior Lecturer at Valand Academy, University of Gothenburg. The Bauhaus artist László Moholy-Nagy was invited by the Deutscher Werkbund to set up a space at the 1929 exhibition Film und Foto (FiFo) in Stuttgart. The topic: The history and present of photography. Moholy-Nagy systematically and thoroughly documented the development and status quo of photography on the one hand and, on the other, staged this space in the sense of his artistic concept. For the photographic artist, the future of photography should lie in the photogram and in the film. This apparent inevitability Moholy-Nagy suggested by way of a clever arrangement of the exhibits. The lecture will expound this sense dimension and make it possible to experience FiFo through a virtual reality reconstruction of Room I.
Kai-Uwe Hemken is Professor of Fine Arts (20th/ 21st century) at the Kunsthochschule Kassel/ University of Kassel and is (co-)curator at various international exhibition spaces. He is currently the co-curator of the exhibition Photography at the Bauhaus – The New Vision in Contemporary Art (Düsseldorf, Berlin, Darmstadt), during which FiFo was virtually and partially reconstructed. He has developed a lecture on “Bauhaus and Photography: New Curatorial and Art Historical Research in the legendary Film und Foto Exhibition, Stuttgart 1929”. This presentation includes a virtual reality reconstruction of the exhibition, which sheds new light on how curators like Moholy-Nagy worked as well as on the typology of modernist exhibitions. Exactly 90 years ago and for the first time in history the 1929 Werkbund Film und Foto exhibition introduced international cinematic and photographic experiments to a greater public and soon became renowned as the epitome of avant-garde production and modernism throughout the world. Who were the artists involved and who stood behind the concept of this tradition-shattering show? How was it perceived and how did it change the way we understand media today? The lecture will focus on the film program that accompanied the FiFo exhibition and its curator, experimental filmmaker Hans Richter. Through his groundbreaking FiFo program Richter is not only considered the forefather of all film festivals, but also the starting point of an identity-generating tradition of experimental film. Inspired by, and as a direct result of, Richter’s program private and political film clubs were formed all over the world. This movement was driven by the cineasts’ enthusiasm for the non-commercial art film and made possible by the introduction of affordable amateur-format film material by companies like Kodak and Pathé. The new film stock helped to create new and independent distribution networks and led to the development of easy-to-use still and movie cameras. This equipment was originally targeted at the amateur market, but soon also adopted by filmmakers like Dziga Vertov, Able Gance or Joris Ivens. Martin Reinhart is a filmmaker, film historian and inventor. Martin studied at the University of Applied Arts in Vienna and is a trained film technician. His company Indiecam has pioneered digital moviemaking back in the mid 2000s. Their cameras have been used in major Hollywood productions and were the first ones to record in CinemaDNG, a format that Indiecam has developed together with Adobe and now is a wide used industry standard. Together with T. Tode and M. Luksch Martin made the documentary “Dreams Rewired” that won the price for best director at the Moscow International Documentary Film Festival in 2016. Recently he developed a system to auto-correlate big sets of data together with physicist Leonard Coster. The goal of this work is to generate an objective topography of world knowledge. The Interwar Lens Cultures project is part of the ongoing research collaboration between The Hasselblad Foundation, Valand Academy and Film Studies at the department of Cultural Sciences Gothenburg University. Interwar Lens Cultures – Photography and Film in Transition 1919-1939 will map, explore and contextualize significant media practices between 1919 and 1939. A new look at the period’s vernacular, scientific and popular lens-based practices and their cross-fertilization offer critical, interdisciplinary perspectives on Interwar visual culture, which was defined by a rising ubiquity of photography and film. The symposium will offer unique transdisciplinary exchanges between the contributing researchers in photography, art, film and visual culture. The historiographical ambition is to discuss various ways of researching, writing and doing photo and film history. Finally, Interwar Lens Cultures – Photography and Film in Transition 1919-1939 encourages cultural, social and political comparisons between the interwar period and the present. The symposium is part of a collaborative research project between the Hasselblad Foundation and Valand Academy, Gothenburg University. The symposium is free and open to the general public. 14:00-14.45 Jenny Chamarette: To be announced. In the evolving, expansive and transforming public visual cultures of the interwar years, photography is increasingly articulated as a defining communication technology and leading medium in a culture where public discourse is conceptualized as progressively photographic and ocularcentric. Emerging public forums, distribution forms, and new genres – the illustrated magazine, the daily newspaper, the postcard, the exhibition are instances – are the platforms where these discursive developments are mediated and take place. The figure of the photographer is, furthermore, symptomatic as literal and symbolic agent of such developments; typified in the Swedish visual archive by Karl Sandel’s 1936 metaphotograph of the resigning Swedish prime minister. This paper will continue to explore these nascent visual discourses in the framework of Swedish lens cultures in the 1930s. Selected key events – including the burgeoning news photograph as signified in the 1930 founding of PFK (the Press Photographer’s Association), the exultant 1938 launch of the illustrated weekly Se, and the large centennial celebration of photography with the exhibition Det Nya Ögat (The New Eye) are to be examined for their contributions to budding transformations. Jan-Erik Lundström is a curator, critic and historian of contemporary art, visual culture and photography. He is the former director of the Sami Center for Contemporary Art and former chief curator of Fotografiska Museet, Stockholm. From 1999 to 2011 he was the director of Bildmuseet. His latest curatorial projects include: Sami Contemporary; Top of the World; Fall Back Spring Forward; Surviving the Future and The Map: Critical Cartographies, Politics of Place and Society Must Be Defended (1st Thessaloniki Biennial of Contemporary Art). He was the chief curator of Berlin Photography Festival, 2005, and the artistic director of the 3rd Bucharest Biennale. He is the author and editor of many books, including: Thinking Photography – Using Photography: Nordic Landscapes; Contemporary Sami Art and Design; Ursula Biemann: Mission Reports; Looking North: Representations of Sami in Visual Arts and Literature and Irving Penn: Photographs. 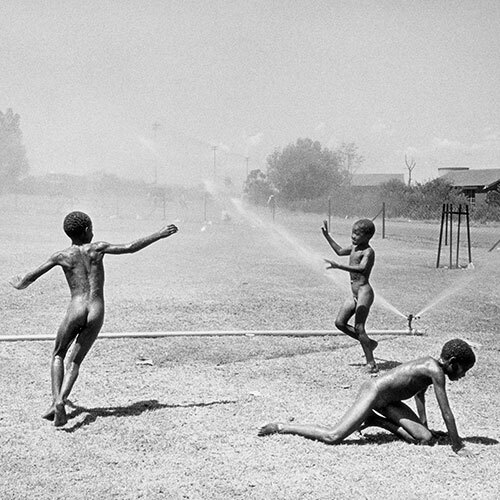 Lundström has contributed to major publications such as Horizons: Towards a Global Africa; The Oxford Companion to the Photograph and The History of European Photography of the 20th Century. He has been a guest professor at, among others, Aalto University, Helsinki, Konstfackskolan and the Royal Ar.t Academy, Stockholm, Malmö Art Academy, HISK, Antwerpen/Gent, University of los Andes, Bogotá, and Oslo Art Academy. Lundström is a prolific lecturer, writer and contributor to international symposia and periodicals. Artist Pia Rönicke lives and works in Copenhagen. Pia Rönicke often works with collections of different kinds; archives of letters, notes, images, newspapers, microfilm and online databases, to mention a few. She is interested in the connection between workspace and filmic space, and how we conceive historical matters in relationship to our daily activities. The practice of collecting is a recurring subject in Pia Rönicke’s work. -The personal, ethical and political dimensions of it. -The everyday practice of collecting, the picking and pressing of plants. -The collection of stories that come into our hands every morning reading the newspaper. She works with the blind spot – that which always contains a spatial dimension, and a set of coordinates of unnoticed, undisclosed material. She works with fragments; film, prints, sculptures and objects, which together builds a narrative. Sweden did not have public institutions for research and education in photography until 1919. Arvid Odencrants was then appointed senior lecturer at what later became the University of Stockholm. His subject was scientific photography. And in 1921 John Hertzberg laid the foundation to a photographic department at the Royal Institute of Technology in Stockholm. They tried to improve and implement photographic technique and methods for various areas of society. Odencrants became a leading person when photography was used as a basic tool in racial biology. Hertzberg was also involved in these activities together with hundreds of Swedish professionals and amateurs in a photo exhibition in 1919. A second exhibition opened in 1930. Furthermore, Odencrants had a special interest in aerial photography after the rapid development of aircraft during WWI. The art of interpreting aerial photos and measuring distances to get reliable maps was intensified during the interwar period. One of Odencrants clients was the Swedish Air Force that later would place orders for cameras produced by Hasselblad in Gothenburg and thus took part in creating the famous “Hasselbladaren”. Photo historian Björn Axel Johansson has published several works, e.g. De första fotograferna (Historiska Media, 2005), Stora boken om familjebilder (Historiska Media, 2010), Resan till Egypten/Drottning Victorias fotografiska liv (Atlantis, 2012) and Att se världen/Svensk fotografi under 175 år (Tekniska museet, 2017). He has been a special adviser in photo history at the Bernadotte library at the Royal Palace in Stockholm, with photographer Lennart Nilsson and is at present an adviser to The National Museum of Science and Technology in Stockholm. Previously he has worked in media and education. As a journalist he was active as a reporter in press and radio and with TV-documentaries for, among others, Swedish Television, BBC and National Geographic. He was also a special adviser at The Ministry of Education and Science, Head of Communication at The Museum of National Antiquities and a special adviser at The Royal Coin Cabinet. As a photo historian he has in later years been active in different fields of Swedish photography, writing articles and as a lecturer. The interwar period in Ireland was a time of extended political uncertainty, conflict and re-evaluation of national identities resulting in the partition of the country and the emergence of “two Irelands” north and south. The Anglo- Irish War of Independence raged between 1919-1921 and a truce led to the signing of a divisive peace treaty which led the country into civil war between 1922-23. After this, there was a struggle to establish separate nation states with Éire as an independent British Dominion and Northern Ireland as part of the United Kingdom. The interconnection between these spaces was challenging and a bitter economic war affected all parties between 1932- 38. This paper will explore the representation of these events in cinema newsreels and argue that the newsreels’ ‘partitionist’ mentality led to confusion and stereotyping that still exist in news coverage of Ireland today. Dr Ciara Chambers is Head of Film and Screen Media at University College Cork. Her research interests include newsreels, amateur film and the recycling of archival images. She has worked on a range of archival projects and digitization initiatives with the Irish Film Archive, Northern Ireland Screen, Belfast Exposed Photography, UTV, BBC, and the British Universities Film and Video Council. She is associate editor for the Historical Journal of Film, Radio and Television and a member of the editorial boards of Alphaville: Journal of Film and Screen Media and Estudios Irlandeses. She is also a member of the IAMHIST Council and the Irish Screen Studies Board. She was scriptwriter and associate producer on Éire na Nuachtscannán (Ireland in the Newsreels), a six-part television series broadcast on TG4. The Swedish military has used training films for almost a hundred years. This presentation focuses on five films that were produced by servicemen in 1929. Based on conclusions drawn from a serial analysis Wickman undertook for her PhD dissertation she will discuss how these films differ from films produced before and after this year. She positions the contemporary Stuttgart exhibition’s optimism as a counterpoint to highlight the armed forces’ view of both advantages and shortcomings of the photographic image in visual instruction. The limits of what the military thought could be experienced and explained by photographic means is explored by looking into the relations between photography and drawing in these five films. Annika Wickman completed her doctoral studies at The Department of Media Studies at Stockholm University in September 2018. Her PhD dissertation, “Film in the Service of the Armed Forces. Military Training Films in Swedish Military Education 1920-1939,” examines the establishment of educational cinema in the military. It brings forth service men¿s involvement in the shaping of film production and film exhibition practices and highlights the history of how factual instruction was presented through moving images. Wickman¿s research interests range from broad theoretical and philosophical questions to the delimited issue of media’s role in professionalization processes. In my paper I will discuss the role of the Italian film theorist Ricciotto Canudo, who is widely considered as a foundational figure in the development of film theory as a disciplinary field. During the interwar period, he developed an ‘intermedial’ conception of cinema avant la lettre, considering cinema as ¿a plastic art in motion¿. I would like to bring his theories into contact with examples of interwar French experimental documentary and avant- garde cinema. Jenny Chamarette is Senior Lecturer (equivalent to Associate Professor) in Film Studies at Queen Mary, University of London. Her first book, Phenomenology and the Future of Film (2012), discussed embodiment, affect, and temporality in relation to the films and installations of Agne¿s Varda, Chantal Akerman, Chris Marker and Philippe Grandrieux. She has published widely on intermediality, embodied and existential phenomenologies, and cultural politics in contemporary visual and moving image cultures in Europe, North America and the Middle East. 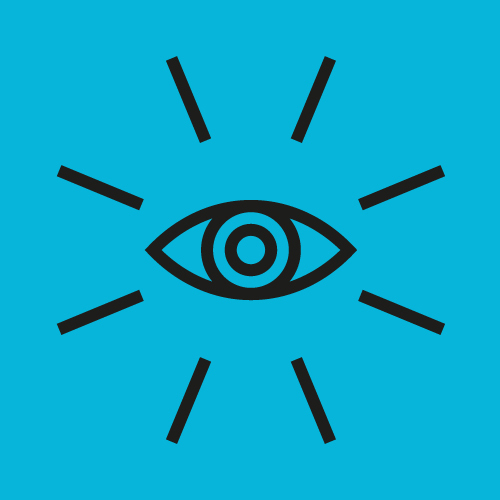 She is currently at work on her second book, Cinemuseology: Museum Vitrines, Digital Screens and Cultural Politics. She is also Co-Investigator of a nationally funded pluridisciplinary project on the digital and material archives of the artist- filmmaker Stephen Dwoskin. Hamilton’s talk will address themes connected to her ongoing practice-based research project Exploring Experimental Documentary. With the field of nanotechnology as the site of departure, the three artworks Zero Point Energy, A World Made by Science and The Science Question in Feminism in different ways approach questions of truth, objectivity, science and society. Informed by feminist technology scholars Donna Haraway and Karen Barad, the talk will deliberate on what ‘the documentary’ is, and how the documentary discourse might be under re-negotiation as a result of recent years’ post-truth politics agendas. Kerstin Hamilton is a photography-based visual artist living in Gothenburg. Her research project “Exploring Experimental Documentary” will be developed as part of the PhD program at the Valand Academy. Hamilton is interested in how materialities and processes can be caught using a camera, exploring the photographer’s reach both physically and ethically. The research is carried out using a method of field work and interdisciplinary collaborations with natural scientists in the field of nano technology. The purpose of this thesis is two-fold. Firstly, it is to investigate the notion of belonging in contemporary photography in Turkey and Sweden. Secondly, it aims to contribute to a theoretical approach to contemporary photography that includes its affective, situated and embodied aspects. Engaging is used throughout the thesis as a unifying notion to bring together a range of theoretical perspectives that share a non-representational take on photography. From this theoretical perspective, a number of photographic projects are explored that in different ways deal with the notion of belonging. In order to bring close attention to certain photographic works and how they function within particular situated space, the focus is on projects from the areas in and around Sweden and Turkey, but the discussion also reflects on the wider question of European experiences of belonging. I argue that affective and embodied perspectives are significant and often overlooked both in terms of contemporary photography and theoretical discussions around belonging. The explorations reveal the extent to which the phenomena of belonging is found not in the abstract space of concepts and ideas, but in the situated spaces in which they are acted out and encountered. Photography at the Threshold: Experiments and Social Change unites researchers, artists and writers from an interdisciplinary field of photography and cultural studies with a particular focus on the 1920s and 30s. The symposium probes ways of researching, writing and doing photo history and a further aim is to reflect on parallels between the Interwar period and the present. Among the topics discussed will be montage, (anti-)fascism, eugenics and photography, gender rights and representation, aerial photography, militarism, commercialism and modernism. A collaboration between The Hasselblad Foundation and Valand Academy, Gothenburg University. The symposium is free and open to all. Going Underground: Negotiation and Transgression in the photographic archives of SAAB Defence and Security. A portrait of Swedes in their daily life and work by the photographer C. G. Rosenberg – seen in the light of a darkening horizon in a troubled Europe in the Mid-1930s. ”Where are the women?” Searching for women at the photographic scene in the interwar period. Young Hamburger Art (1931) – How the photographic art was perceived in the first known exhibition in Gothenburg with paintings, sculpture and photography. The book is an integrated and important part of photography, and the interest in the history of the photo book is an expanding field. It started in early 2000 with Andrew Roth’s Book of 101 Books: Seminal Photographic Books in the Twenties Century (2001), and the exhibition and publication Open Book at the Hasselblad Centre (2004). Martin Parr and Garry Badger have made groundbreaking contributions with their series History of the Photo Book, Volume I, II and III (published 2004–2014). They have been followed by a number of books and exhibitions focusing on national histories of the photo book. Now it is time to look critically on the histories that have been produced during the last decade. What perspectives have guided the histories? How have they been mediated and – most importantly – what is still to be done? The symposium will address these important questions. The symposium is part of Photography in Print & Circulation, a joint research project between the Hasselblad Foundation and Valand Academy. 18.30 – 19.00 Bernadette Wolbring Square pegs and round holes and a book signing. 19.30 – til late Opening of the festival including a release of Fotografisk Tidskrift! 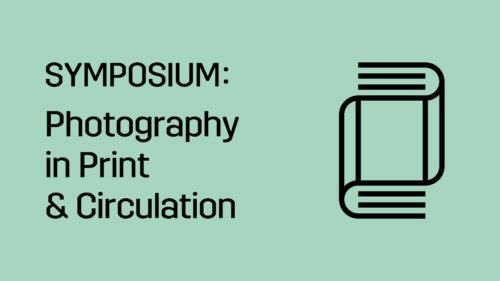 Photography in Print and Circulation is a symposium addressing the critical and creative use of photography’s reproducibility. Easier than most other visual media, photography can be multiplied, appropriated, printed and distributed. The symposium will focus on the current and expanded field of photo books. 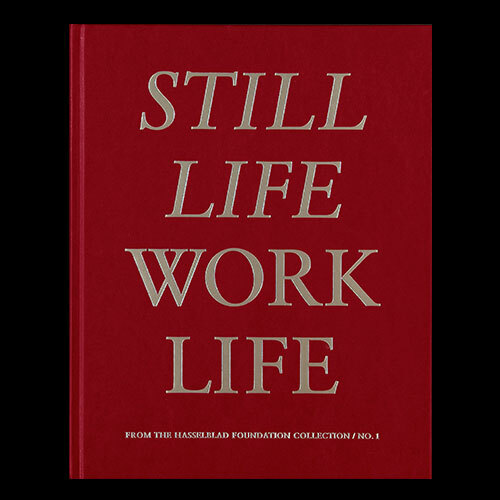 The book is one of photography’s most important formats for going public, and the contemporary photo book culture has developed different modes of – and strategies for – editing, publishing, financing and distributing. The emphasis will be on networks for production and sharing, curatorial perspectives, and the experimental use of books as alternative space for mediating photographic images. Printed matter is one of many possible forms of distribution. 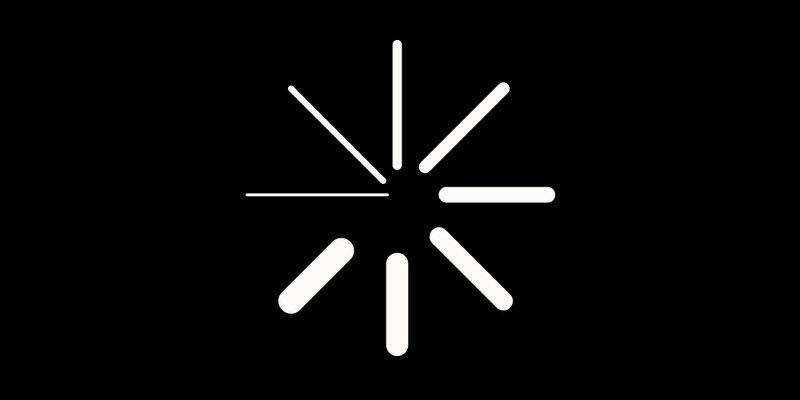 Still and moving images are constantly produced, shared, and sampled through mobile phone cameras and the Internet. The digital technology has changed the parameters for the use and understanding of photography. The symposium will also discuss the changing practises in art and news media, as well as the curatorial take on mediating and exhibiting on-line material and other digitally circulated photographic images. The speakers are artists, publishers, curators, and scholars and they are invited to talk about their practises, and to reflect on how the artistic and critical possibilities of printed, re-used and circulated photography can be defined and developed. and Hasselblad Foundation´s Facebook pages. 10.40–11.10 Mike Bode: Verification processes and the ecology of user generated imagery. 11.30–12.10 Linn Prøitz: “– It was instant … this is ultimately what is at stake, a child has died: What is simpler than that really?”: The impact of the rapid global circulation of the image of Alan Kurdi. *Alfredo Jaar is unfortunately no longer able to participate in the symposium due to illness. The symposium is co-organized by Valand Academy of Arts and the Hasselblad Foundation. It is a part of the project WATCHED! Surveillance, Art and Photography in Europe Post 9/11, which will result in an exhibition at the Hasselblad Center and a forthcoming book in spring 2016. An international 2-day research symposium in Gothenburg, organised by The Hasselblad Foundation and Valand Academy. Closing of Day 1 – short discussion led by Louise Wolthers and Niclas Östlind. Closing remarks and final discussion led by Louise Wolthers and Niclas Östlind.